KOTA KINABALU: Security forces believed the two abducted Indonesian fishermen have been taken to Talipao, Sulu the Philippines. 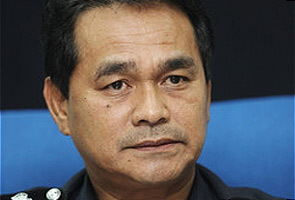 State Police Commissioner Datuk Omar Mammah said investigation by the Malaysian security forces and their Philippine counterparts revealed that both victims are safe but were kept hidden at a secluded location. Omar however said that neither the boat owner nor the victims family have received any calls or ransom of demand from the KFR group. “We will do all we can to assist our Philippine counterparts in this case,” he said. In September 11, Usman Yunus, 35, and Samsul Saguni, 40, both Indonesian fishermen were taken hostage by two men armend with M16 machine guns near Gaya Island off Semporna waters. Two of the victims colleague however manage to prevent from being abducted after hiding in compartments inside the vessel. The kidnappers then speed off in a pump boat to an unknown location with their hostagers. The case is currently being investigated under Section 3 of the Firearms Act.